Host plants for larvae are several leguminous vines particularly Austrosteenisia blackii, which occur on the edge of gallery forests or rainforest margins. Mature larvae have an olive-green body with minute white spots, several lines may be present; head brown with 2 short projections. 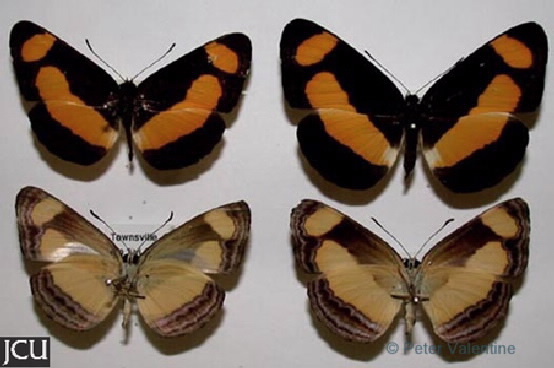 Adults are black with 2 bands of orange yellow and 2 conspicuous spots, hind with broad orange-yellow median band. Lower surface is similar but paler.